The dental field is a growing field that is increasingly important as the demand increases, and it is growing for several reasons. 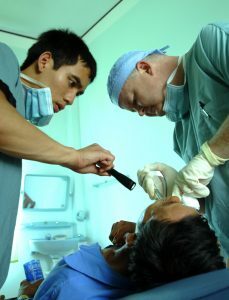 For example, elevating health programs in developing countries increase the push for advanced dental care. Also, the increasing population in more advanced parts of the world, and all over the planet leads to a higher demand for dental care. Dental health needs are on the rise. One of the biggest benefits to choosing a certificate or diploma program at the higher education level is that these programs take significantly less time than their full degree counterparts. As the saying goes, time is money. 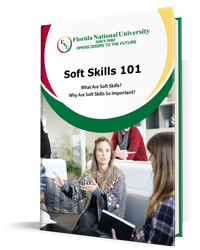 Rather than spending years in school, students who choose to study in a certificate or diploma program can acquire the skills needed quickly and potentially launch a career earlier than others. This enables students to gain the basic knowledge needed to enter the field as quickly as possible and start a career, all while also spending less on tuition, books, and other fees associated with higher education. Who Should Study in a Certificate or Diploma Program? On the other hand, opting for an associate degree offers various benefits of its own. For example, investing the time to complete an associate’s degree is rewarding for these students: it demonstrates the responsibility associated with acquiring a degree while also showcasing one’s commitment to gaining a deeper knowledge of the subject at hand. Choosing to earn an associate’s degree offers advanced knowledge and education in a way that a certificate program or diploma cannot, and is not designed to. Students in an associate’s program will learn to identify various symptoms, procedures, and information related to dental hygiene, all of which will be needed to do well in an entry-level career. This program was designed to prepare students for entry-level employment as dental assistants and dental auxiliaries. Graduates of this program may apply to take the Certified Dental Assistant Examination given by the Dental Assisting National Board. Students who graduate from this program are eligible for employment as dental assistants with expanded functions and radiography skills. FNU awards a certificate upon completion of the program. The DT Program trains highly skilled students who design and constructs the attachments and replacements for natural teeth. Students are trained to enter the work field upon graduation. On the job, DTs undergo tasks, such as carefully fashioning plastic and metal into a precise product. This program offers technical training and theory in the areas of full and partial dentures, along with porcelain, crown and bridge. Students who choose to study in this program always have the opportunity to further their education, as this program transfers completely to the Dental Laboratory Technology, Associate of Science Program. This program offers technical training and theory in the areas of full and partial dentures. It serves as a great way to build upon previous education and skills. This program has certain prerequisites, and requires previous experience in a program or career related to dental laboratory technology. This program offers current laboratory techs to expand on their current knowledge, and potentially grow in their career. It is also a way to brush up on old skills. Learn more about the program and it’s prerequisites. This program offers technical training and theory in the areas of Crown and Bridge, and Porcelain. Again, the DT CBP serves as a great way to build upon previous skills. This program offers current laboratory techs to expand on their current knowledge, and potentially grow in their career. Learn more about the program and it’s prerequisites. This program offers technical training and theory. The program includes a fifteen credit-hour component of general education and liberal arts courses. FNU awards an Associate of Science Degree upon graduation, and students are prepared to enter the work field at this point. FNU wants to see you excel in whatever it is that you choose to do. Now that you know your options while considering a dental degree, it’s time to make the move. Enroll in one of our several offered campus programs, or apply to study in one of our dental programs, now!